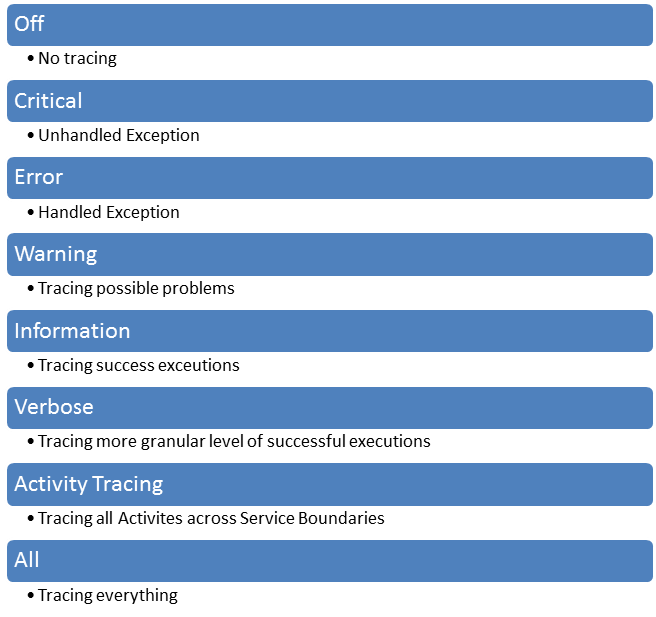 Theory behind WCF Tracing is not an exception of classical definition of Tracing. Through Tracing an application provides information about itself. Information may vary from internal state of object to passed input parameter to method. This information should be logged, persisted or saved somewhere. WCF Tracing can be used for the instrumentation of the WCF Service. To emit trace information WCF provides different sources. However you have choice to create trace source using TraceSource class as well. You can choose any of WCF Assembly level trace source to emit the tracing information. You can define the level of messages you want to trace. 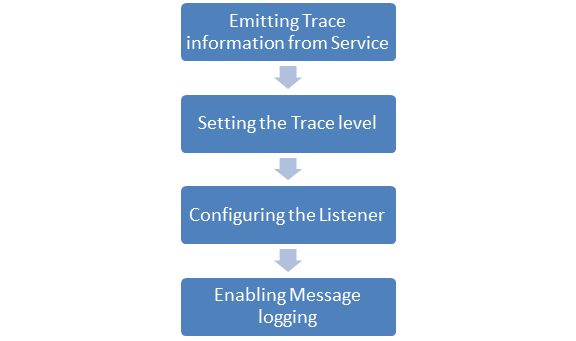 If you are tracing all level of messages then size of message generated for tracing would be very bulky and it may affect application negatively. Trace level information is set by using the switchValue attribute for trace source. You need to configure a listener to persist the messages at any desired location. There must be at least one listener configured for WCF tracing. You can configure listener directly in source element of the configuration. Note: In further post, I will discuss in detail on configuring the listener. 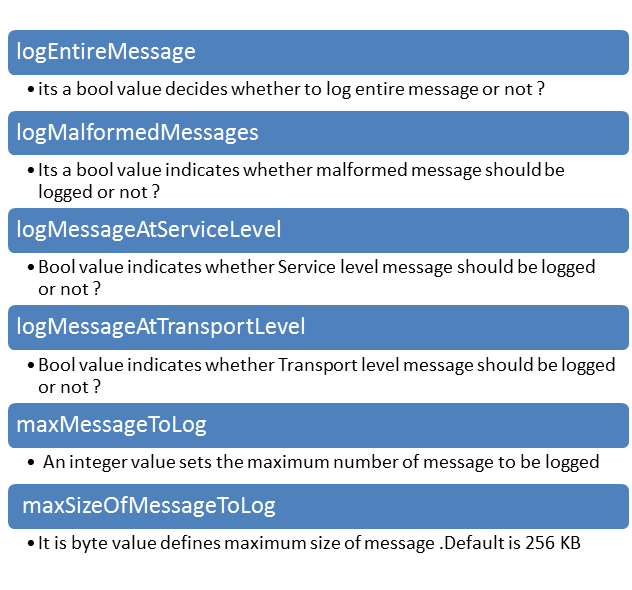 Last step you need to perform is to enable message logging in configuration. 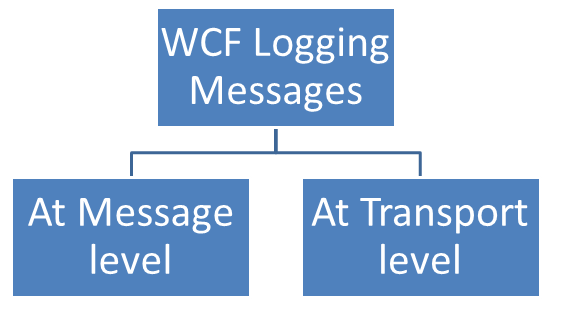 WCF logs message at two levels. Enough of theory Now let us go ahead and capture basic trace in WCF service. Consume service in a client. I am assuming that you are consuming service in a console client. We are using listener System.Diagnostics.XmlWriterTraceListener. Trace information would be find at Traces.svclog file under bin/debug folder . Last step you need to perform is enabling Message logging. Add below diagnostic in System.ServiceModel. very nice articles… keep sharing your information.